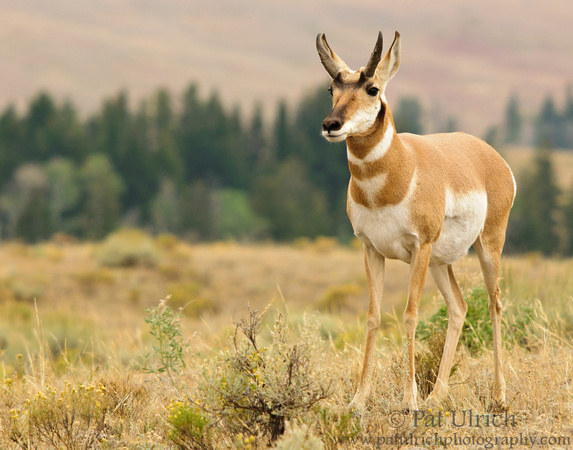 On our 2011 road trip through Grand Teton and Yellowstone National Parks, the chance to photograph pronghorn was high on my wish list. 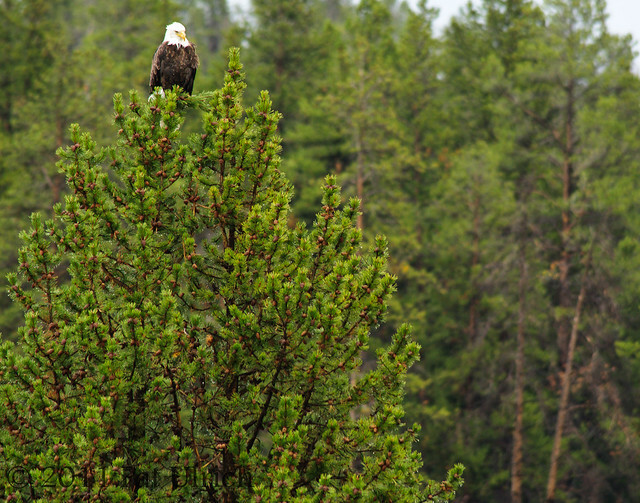 I've long been fascinated by this species, and on our first evening in the park, we were treated to some up-close visuals right along the side of the road. The light was fading fast, so I barely managed any reasonably sharp frames, but it was a really special encounter so see this herd up close. 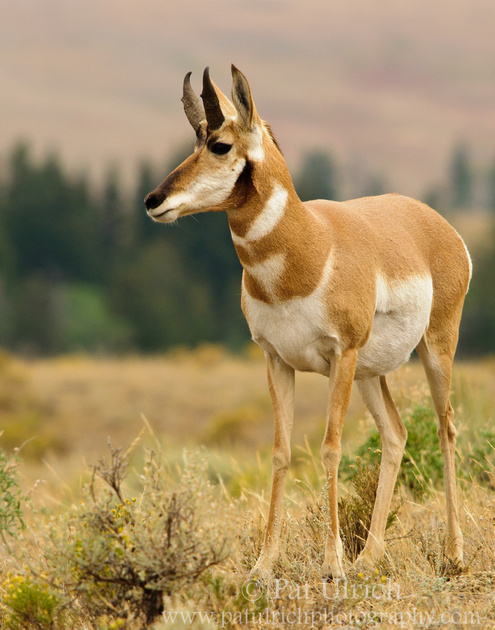 We would see pronghorn in Grand Teton National Park only a few more times in our 3 days there and always at a far distance. 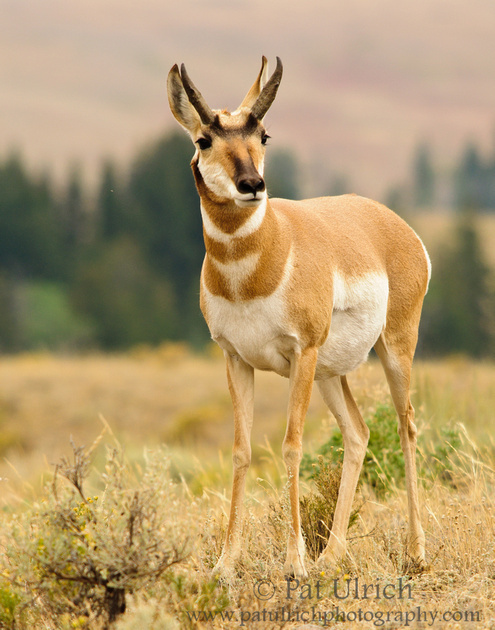 Though we were treated to some very nice breakfast encounters with a small herd of pronghorn each morning as we drove through the Gardiner entrance to Yellowstone throughout the next week. I'm changing things up a bit for this post and delving into the archives. 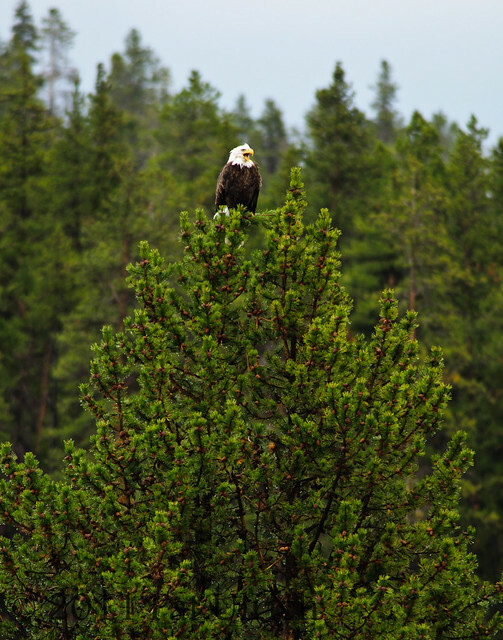 I was recently thinking about the awesome trip we had through Grand Teton and Yellowstone National Parks in 2011, and I recalled that there were still some images I had marked to process but never did. 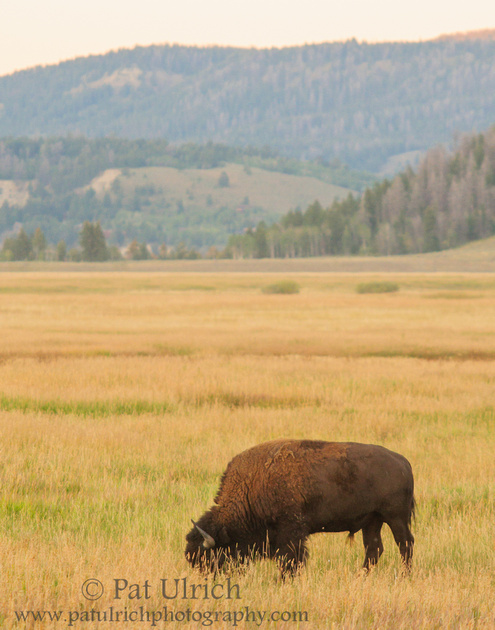 One such memorable experience in Grand Teton National Park was watching a herd of bison grazing on the prairie while the sun set behind the mountains. It was so impressive to see the large bison herds, but these two images of a solitary bison feeding on the expansive prairie captured the serenity of the sunset scene. 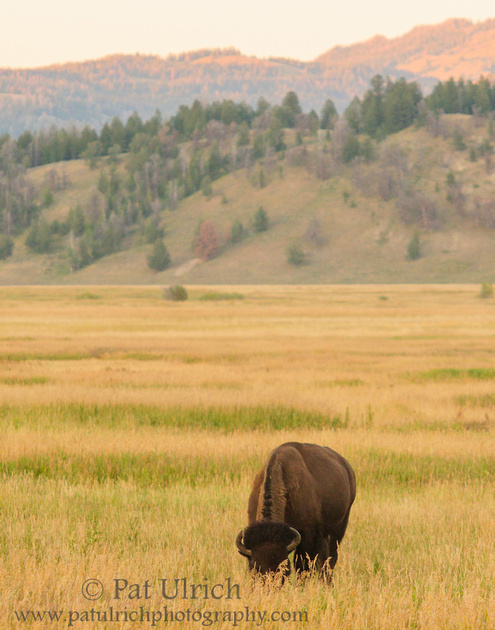 View more of my photographs of bison. 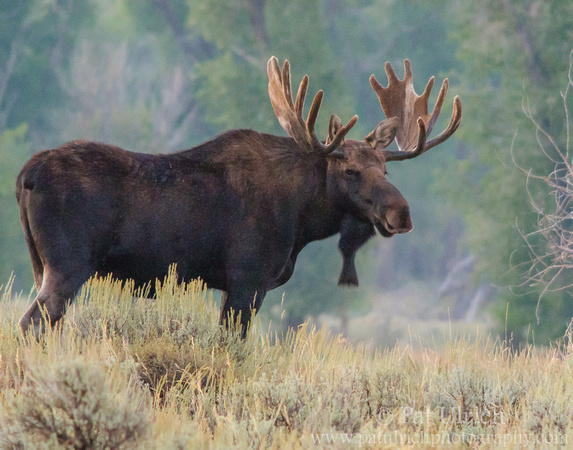 After watching this large bull moose move through the harsh lighting of a late-morning forest, he stepped out into a small clearing near the Gros Ventre River in Grand Teton National Park. It was hard to balance the light and shadows while he was among the trees, but for a brief instant his whole head, including those newly cleaned antlers, was in the light. 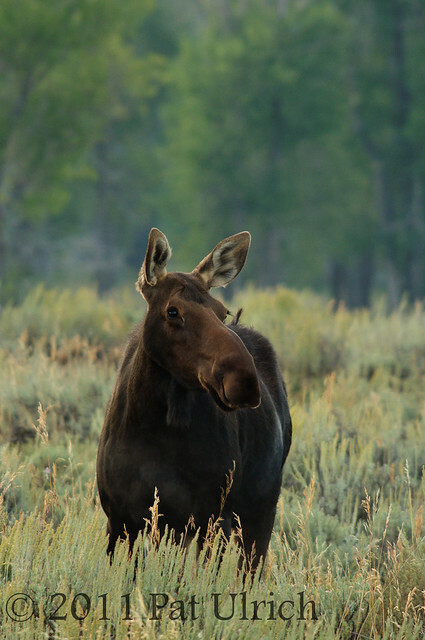 View more photos of moose in my Moose Gallery. 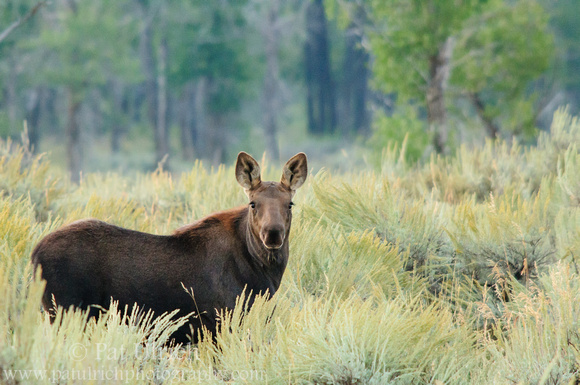 Our encounter with this young moose and his mother was one of the highlights of our September visit to Grand Teton National Park. We found this pair as we took a pre-sunrise drive along the Gros Ventre River, and they were feeding quite close to the road. 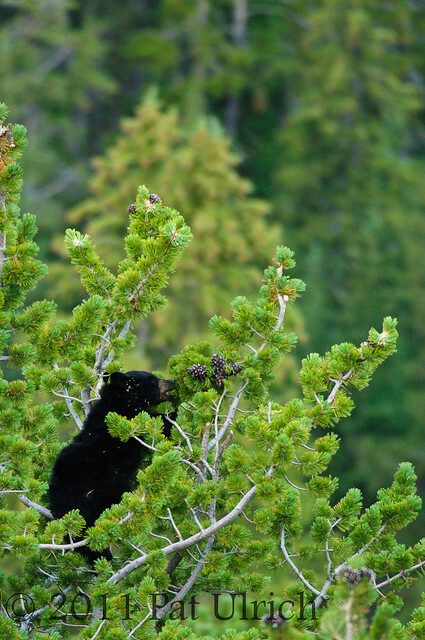 The young one was perhaps on the verge of being weaned, since we saw him nurse as well as browse on some plants. He (or she?) also had the energy expected of a youngster as he went hopping and tromping around the sagebrush, but never straying too far from mom. 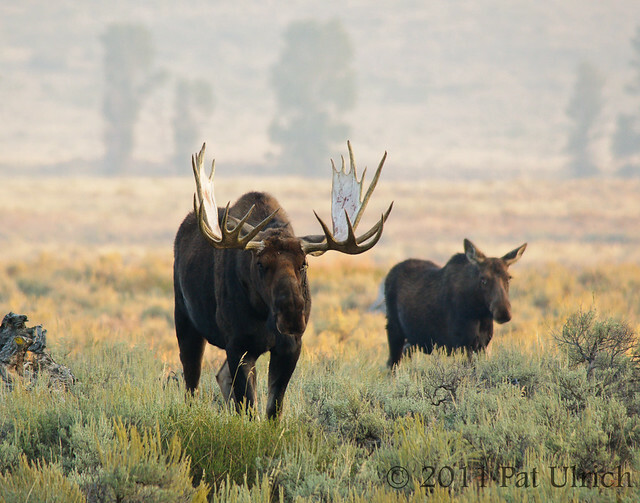 View more images of moose in my Moose Gallery. 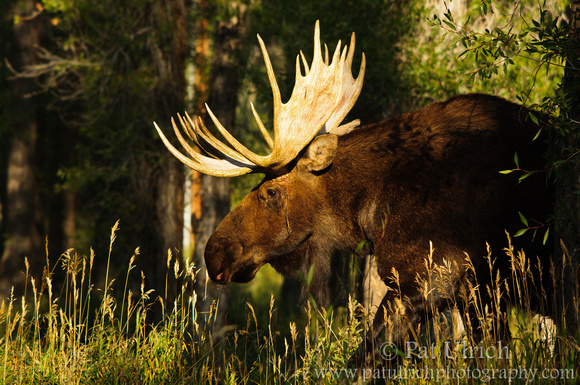 This handsome fellow is the largest moose that we saw during our visit to Grand Teton National Park in September. 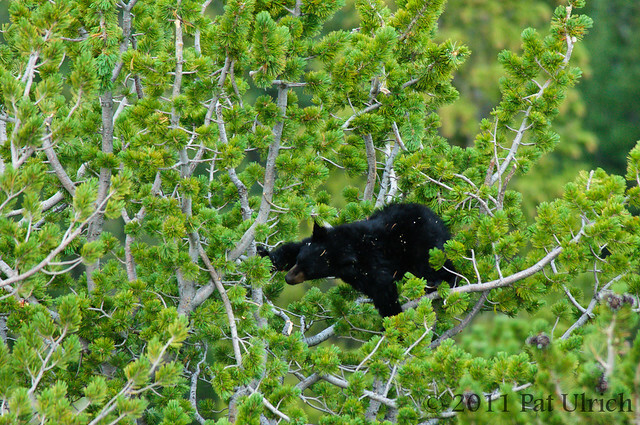 We found him feeding fairly close to the road as we drove along the Gros Ventre River corridor before sunrise. Since I was shooting in pre-dawn light, I had to jack up the ISO for these shots. To get a reasonable shutter speed of 1/100 of a second (which was still a bit of underexposure), I pushed the camera to ISO 3200. At the time I was thinking, "why am I even bothering trying to shoot under these conditions?" -- since it seemed like it was just too dark to get anything decent. 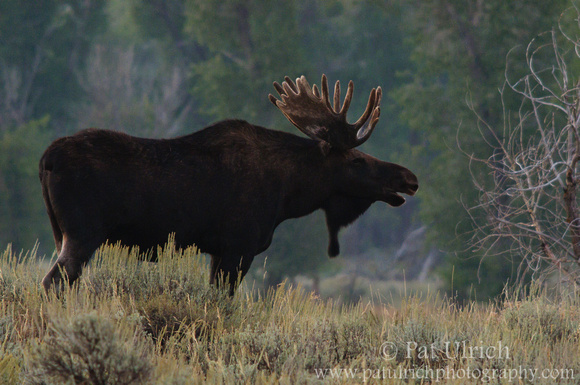 But then I quickly realized that I have no idea when the next time I'll be this close to a large bull moose will be, and of course, pixels are free, so I kept shooting. I'm really glad that I did as well, since I was impressed with the quality of the images when I reviewed them later. I had never really shot at such a high ISO before, and sure, there's a fair amount of noise (especially before any correction in LR3) and they aren't tack sharp, but overall they came out pretty good considering the conditions. 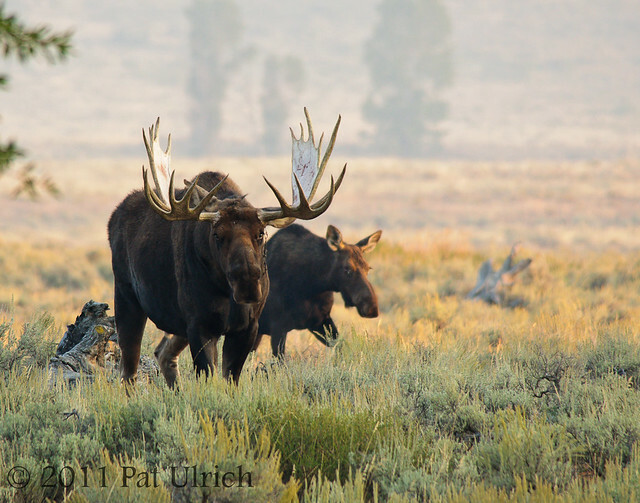 One of my favorite wildlife encounters from our trip across the west was finding this female moose and her calf in the pre-sunrise light. The mother was beautiful (as you can see) and the calf was full of energy, and continually bounced around the sagebrush. They were a delight to watch! 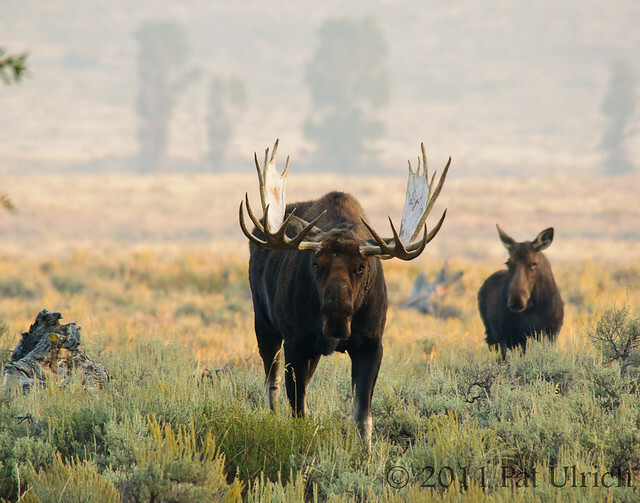 While we certainly found bison on every day of our Grand Teton and Yellowstone trip, one of the best encounters came in the late afternoon in Grand Teton National Park. The large herd that resides there had moved fairly close to the road, and they stayed there resting, feeding, fighting, and running around until long after the sun had set. 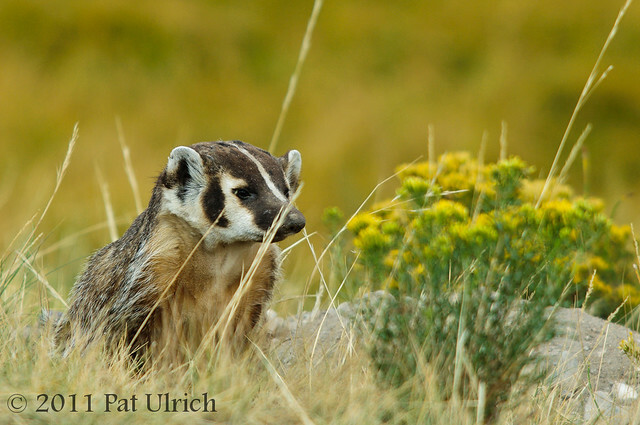 These are such remarkable animals, and it's interesting to think about what the landscape must have looked like a few hundred years ago when a few million were still roaming the west! 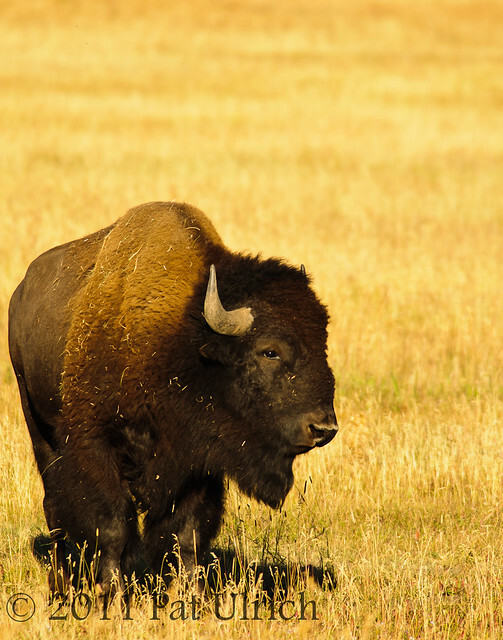 View more photos of the largest land animal in North America in my Bison Gallery. 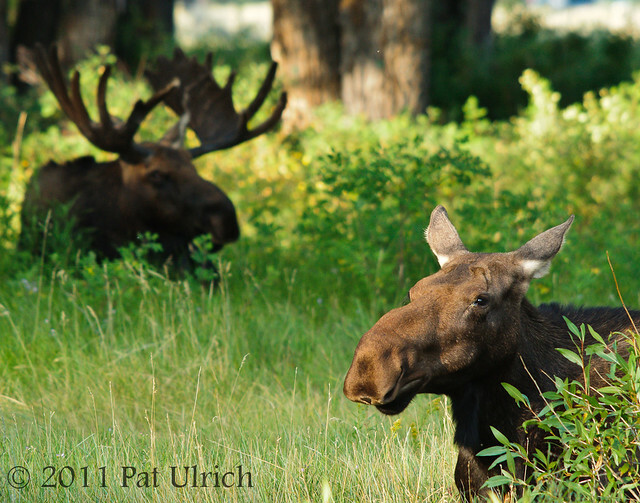 Our moose encounters in Grand Teton National Park were one of the highlights of our entire road trip. 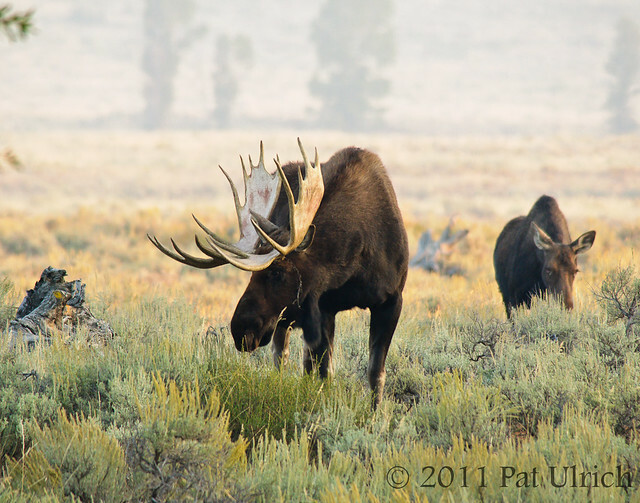 It was amazing to see these huge animals up close, and I'm really excited that we were able to find them feeding in the sagebrush on a few occasions. This post is a series of four photos of a pair of moose that we watched on our final morning in the park. 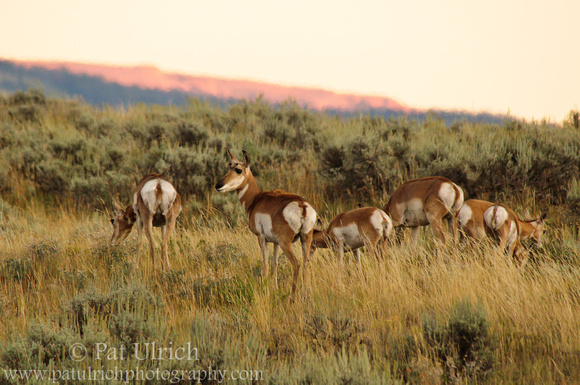 We started the day by finding them off in the middle of the sagebrush at dawn, but they slowly worked their way closer to us in the morning light. We were there just before the start of the rutting season, so most of the bulls we saw still had velvet on their antlers. However, on our last morning there we caught this bull with mostly clean antlers (you can see a bit of velvet still hanging down by his face in these shots). He was clearly still a bit itchy, and he spent a fair amount of time scratching on any solid object he could find. I was so amazed at how large these animals really are, and they really are a sight to behold. I know it looks like he's aggressively coming at me in the frame below, but he was just interested in feeding in that brighter patch of vegetation. Unfortunately, for a lot of the shots on this trip (including many of the shots from our encounter with this pair) I really had to jack up the ISO, which introduced quite a bit of noise. It was a tricky trip in that regard, with a lot of shooting right near dawn and before the sun had made it over the mountains. It's a delicate balance with my gear, confounded by the fact that the low-light conditions challenges the autofocus on my lens (f/6.3 at 500mm), but I decided that I'd rather have a chance for sharp shots with noise instead of blurry shots due to slower shutter speeds with less sensor noise. Overall it seemed to work out ok, but the amount of shots that I've culled due to technical quality does speak volumes to what having a faster long-lens would allow you to do. 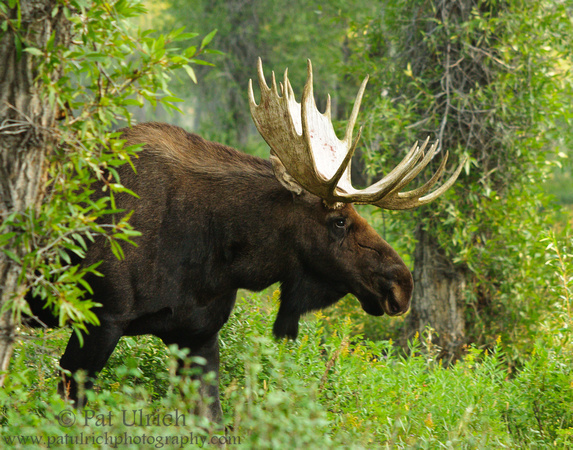 View more photos of these impressive animals in my new Moose Gallery.